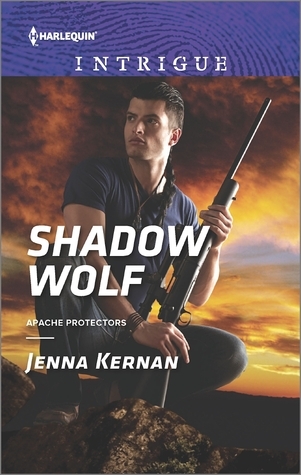 Jenna Kernan’s debut novel in the Harlequin Intrigue line does NOT disappoint! It’s full of intrigue and mystery and has you second guessing who you think the bad guy is several times throughout the story. Kino Cosen is tracking the drug lord he refers to as the Viper when Lea Atlaha stumbles right into the path of trouble. Kino helps to get her away from the drug lord, but then has to keep her by his side because she’s the only person that has seen him in person and lived to tell about it. Kino is seeking revenge because the Viper killed his father in front of him 10 years ago. Will he be able to keep Lea safe? And when they begin to have feelings for each other, can they remain objective as they try to solve the crimes swirling around them?